The rest of the day consisted of a walk through The Bronx, getting lost in Spanish Harlem, happy hour at a Puerto Rican bar in Harlem, dinner at an uppity/cross-fit/health nut/vegan place downtown in Greenwich Village, drinks at a sports bar in midtown, and finally, a nightcap with a celebrity chef we randomly met from Spain at a speakeasy in the Financial District. It’s safe to say that by the end of the day…my feet hurt. But there was one moment yesterday that really stood out to me. It happened when my friend and I were strolling through the Bronx. And for a girl who rarely goes above 14th Street in the Village, being up in 160’s/170’s was a far cry from home. But one fun fact about me, is that during the first couple years that I lived in the city, I was the lead singer of a latin cover band. Anywho – as a result of this little musical endeavor, I know all of the latin hits. So walking through the Bronx yesterday, past all the open air hooka bars with sidewalk seating, blasting the latest latin hits; or the Barber shops and Beauty Parlors where there were groups of ladies or gentlemen congregated outside around a boom box, my ears were having a nostalgic field day. And as we were walking by one of those barber shops, my all time favorite song came on, called Carnival. I started singing it to myself, and did a little dance/walk/shoulder thing because…I am *that* cool. And all of a sudden, this little old man, all of about 5’4″, comes over and starts dancing with me to this Latin hit, surprised that I knew the words. And he was smiling this big, toothy grin -albeit missing several teeth. But we just had this beautiful moment of joy, dancing to the same music. We didn’t speak the same language, but we did speak music. We did speak joy. That connection was just so genuine and pure. Riding the subway back down the 150 blocks or so — for 45 minutes — I couldn’t help but think about that frail, little old man. And I know this sounds cheesy, but I kept thinking about God in him. I hate to admit it, but from the outside, this man was not someone I would have typically sought out to interact with. I mean, his clothes were worn and dirty, I don’t think he had showered in a couple days. And I mean…I’m big on dental hygiene. But dancing with him – even for just that 8 second chorus – there was such a beautiful light that radiated from him. That was God inside of him. That was the inherent worth and value and beauty that all of us possess, simply for being made in His image, reflecting His light. But how many times have I missed opportunities like that, simply because I’ve been deterred by the outside packaging? Sure, maybe not a spontaneous dance sequence that legit looked like it could have come out of a scene of some Spanish-version of Grease. But what kinds of meaningful connections have I passed by, simply because I was too focused on the outside, or too wrapped up in myself, or my iPhone? God is all around us. Within us. Sometimes you just have to look past the rough exterior. Happy belated Birthday. It’s beautiful how we see God in others. Great share. Happy Belated Birthday! Glad you enjoyed it. What a wonderful post!! Happy Birthday!! Happy Birthday Caralyn. God’s Blessings as you continue through this life spreading joy and God light. I seldom comment, but I do enjoy your blog. Really appreciate your insights and your honesty. Happy Birthday and may you have many more happy ones. I’m certain I have missed many “God moments” because I was too wrapped up in my own inner world and some times too fearful of letting go and following His lead. Happy belated birthday!!! And we are in the same state! At least for now! Thank you for all of your positive posts. I’ve really been enjoying your blog! Wow. Happy Belated Birthday. Its been a long while. How have you been? Happy birthday. Glad your day went great. Inspired post! And Feliz cumpleaños! Happy birthday!!! Where is the LOVE button for this post? You talked about tequila shots on my birthday in your last post. Now you’ve sung? That’s pretty cool. I’ve walked from Grand Central to Central Park to Battery Park one night. We, couldn’t figure out the…tube. Then, we napped on park benches until morning in Battery. I, wouldn’t suggest it now. Happy Birthday. It’s good to shake it on your birthday. I heard. I don’t shake, well. In 1927 Paul Valery wrote, ” Poetry, like dancing, is action without end.” Maybe, just maybe, your way with words is an extension of dance or vice versa. We do learn to walk and dance before we write. We danced that one night and agreed if we were not married by 29 we’d marry. Seemed sensible. She’s been married and divorced twice. Life. Does not give us, much happiness. It is, it must be found. I’m glad you found it while exploring. Read Hemingway’s “A Movable Feast.” Now, I have a few hours left before I get to get up and box vegetables. The California vegetables always look like waxed fruit. To me. Too perfect. It’s unglamorous, I’d rather be a Latin night club singer. You see what Pastor Robert Jeffress said in the Washington Post. Ugh. Bible is a kaleidoscope of consciousness but I don’t believe in people that use it to purge others from Earth. That’s what happened to my people. I don’t know. Everyone wants to be right about the end of the world. It’s kind of sick because it’s the end of us. wow, sobering when you put it that way! Nuclear war has no winner. It looks like the rapture. Happy Birthday!! I wish I’d known! So glad you had such a great day…sore feet and all. If they can manage a short walk over to Patreon, you’ll find my comments there. It was the worse rendition of “Amazing Grace” I had ever heard. I thought, oh God, how embarrassing! Then God whispered, I don’t hear the voice. I hear the heart. That is when I learned this valuable lesson. Happy Birthday! Don’t think of me being late in wishing you a Happy Birthday. Think of me being the first one to say it for your next birthday! 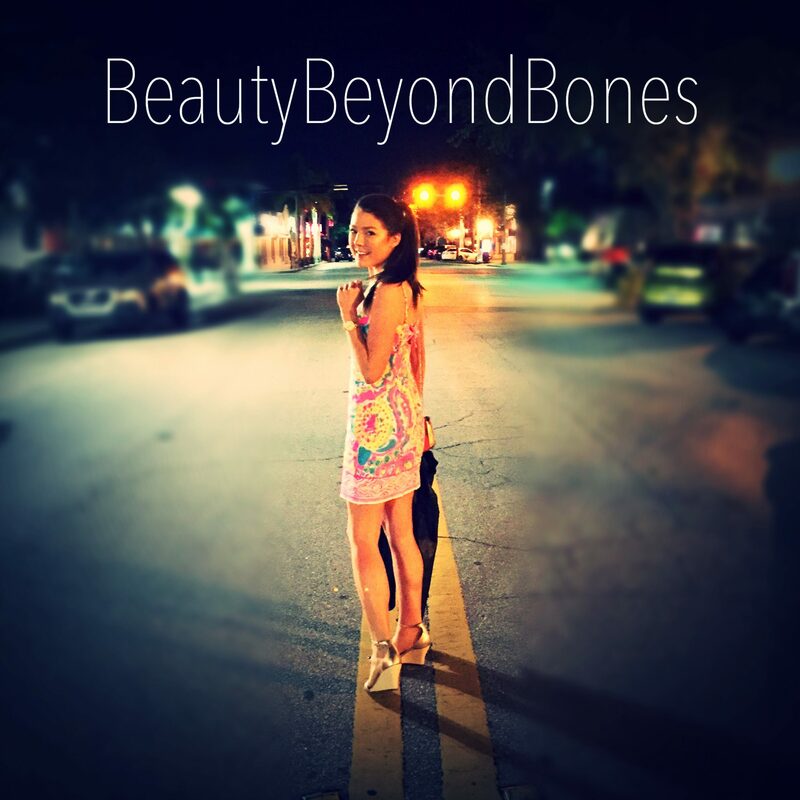 beautybeyondbones I nominated you for The Star Blogger Award. http://wordpress.com/posts/daisymae2017.wordpress.com check out my post and your nomination. Excellent post! And Happy Birthday! Happy Birthday yesterday, Mine is tomorrow. Yay, Leo’s!! Beautiful! You have a very captivating smile!! Birthday blessings, pastor! Wonderful writing about a wonderful day! By the end of the day, no wonder your feet hurt! You have little feet for all that walking! Bueno birthdayo ! You are the best!!! Happy Birthday! Sounds like an amazing time. I was a New Yorker for the last two and a half weeks of Bryon’s life. He was at NYP/Columbia so I could visualize when you said “Washington Heights.” Fascinating city but I am not sure when or if I can return. Everyone goes through a transfiguration moment when they see something divine in someone else that shines like the sun. Happy Birthday. Great article! “We did speak joy”. I loved that part! Wow, I’d love to have a birthday like that. And that old man must have been really cool. I love it when I meet someone and instantly we have this uncanny connection that would not have been obvious at first glance. I think maybe we come across someone and something happens that we both respond to and suddenly we are on the same wavelength, and it is beautiful. I imagine heaven will be like that. 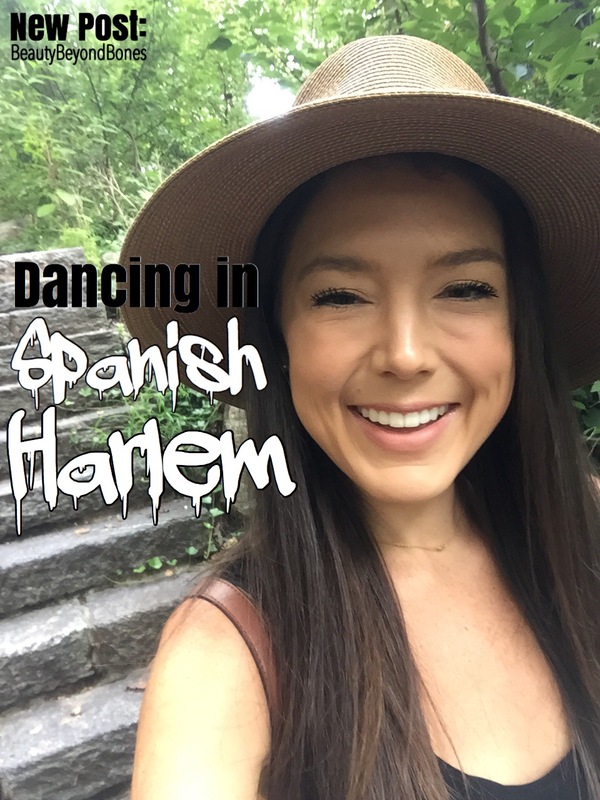 We’ll meet people we missed connections with on earth, the salsa music will play, and we will dance – or some equivalent. And it will be like we knew each other all our lives. btw, where can i get your book? This is random, but wow, this was a beautiful comment. “And it will be like we knew each other all our lives.” I want to cry! I can’t wait for the Joy of Heaven– when all pain will be done with, and we’ll all eat at the Wedding Supper of the Lamb– together (Revelation 19). Beautiful. ❤❤❤ Even if I never meet you and everyone else in this life, I will never not know you! Can’t wait to meet the believers in heaven! Sorry I just had to reflect 😀 Have a blessed day! Belated happy birthday and many happy returns of the day. You would probably like Toronto too.Most multicultural city in the world. Belated Happy Birthday, Caralyn! It sounds like it was absolutely wonderful! God Bless your new year with many of his richest! I don’t know what it is, but God usually brings a verse to mind whenever I read your posts! Here is the latest. Do not forget to show hospitality to strangers, for by so doing some people have shown hospitality to angels without knowing it. Hebrews 13:2. I love your beautiful heart, Caralyn! The Cloisters is a beautiful facility, and far enough off the “beaten path” that few New Yorkers get there. One of the other treats in Manhattan is the walking tours of lower Manhattan, usually led by grad students from NYU — you get to see aspects of the City most people never notice. A lot of fun, if you wear comfortable shoes. NY and NJ are the most diverse areas of the US. One school district in NJ has students who speak one or more of 38 different languages. Diversity gives a vitality that you just can’t find in much of the country anymore. First of all a belated Happy Birthday. You never fail to surprise me with your observations and view on life. I like your spirit of adventure and your wisdom. That sounds like so much fun!! Happy Belated Birthday!! When I first started reading your post it kind of made me think of church…. I know weird? These days when we are singing, the lights are low like in a concert or something. I feel like it separates people. I can remember years ago before the whole “experience” thing was going around, and I could make eye contact with people around me. We used to share in the singing of chorus’ and dance (albeit a tamer version). I miss it so much….. to be able to look at someone you don’t know and just “know” what they are feeling, because you are sharing in the moment. That is so beautiful, and I am wishing you the brightest of years birthday girl!!! Interesting. I’ve only been to NYC about half a dozen times. Once on business in 1970’s, a couple of times to visit with my brother who now lives in Harlem. He used to live in upper East side. During one visit we did a matinee and evening performance at the Met. We saw Cav & Pag and Il Trovatore. Standing room only. Loved doing the opera. Harder for me to get back there these days. Every city has some sort of claim to fame. Happy to show you around LA some time. You definitely hit on one of the things I love about living in NYC (the culture/diversity), and one of the things I missed when I went off to college for four years. Oh…and happy birthday! Haha, sounds like quite a scene. I remember my mom introducing me to Celia Cruz. I never cared much for her music, but it reminds me of her. Ok I LOVE that you we’re the lead singer in a Latin cover band. That alone *made* this post! You should never enter into another conversation with someone new, ever again, without leading with that! Quirky things like this are fantastic! Now my question is…was anyone Latin in Latin cover band? Ohhhhhh and I forgot!!! Happy Birthday! HAPPY BIRTHDAY my friend – may God bless you and keep His protecting hand over you. Wish you a very happy birthday dear(belated)….and a very happy new year. I am sure that this year has hiding so many surprises for you…..have a blast and explore them all…. Yeah just been moving and setting up my new place and trying to get ready for finals and clinicals and school and my big sur backpacking trip, busy but all + things! Happy Birthday sounds like an amazing day and one where a past talent emerged, who knows, this angel may have been sent to make you realise to let loose and have fun like you used to?? Birthdays like this make aging wonderful. I think my favorite line was this one: “We didn’t speak the same language, but we did speak music. We did speak joy.” If only more people could speak joy. Although I am not a Spanish linguist by any stretch of the imagination, I am a Korean linguist and will just say “Sangil Chuka hamnida!” I hope your day resides in the forefront of your memories for a long time to come! Happy birthday dear!! Wishing yo a wonderful year filled with God’s goodness, this will be your best year yet!!! YES! Terrific message. See God in everybody, and respond to Him. Thank you! First and foremost – Happy Birthday! (I’m not a new follower, but I just recreated myself, so to speak). And I found this post of yours to be a bit of an enlightenment and I can’t help but remember that his you discuss an ideal that I used to hold as a true principle – the ability to see goodness in everyone. It’s a nice reminder that treating people with kindness and joy and ignoring our human inkling towards judgment is so important, isn’t it? The punch line of your post hit me hard. How many times we look at the outside of the package instead of the inside. And because of that we miss opportunities to connect and impact! Belated Birthday greetings and thanks for sharing your happy moments specially the one with the spontaneous dancer….brings everything alive!!! August 6th, feast of the Transfiguration? What an appropriate birth day, many happy returns! 🙂 My second son was just born that afternoon too, so the joy is spreading! … a lead singer of a latin band! Happy birthday, BBB! I have nothing to give you than to wish you the best. Many happy returns in total health and prosperity. Hip!!! Hurray! Dancing is such a beautiful way of relating. All the words get out of the way, everything that we’ve been taught about God and our place in his creation, and we connect at the deepest level to the truth that we were designed to feel his love pulsing through us. One of the owners came up one night and told me that he never wanted me to dance that way again. So I’ve never gone back. Someday maybe we’ll be in the same neck of the woods and go dancing together, Caralyn. I’d love that. It’s not how I dance, Caralyn, it’s why I dance. Music creates a shared vibration in the spirits of the listeners. I enter into that vibration and bend it towards love. That is my joy. I’ve got changes in my life that I need to manage, so I may not be active here for a while. If you need anything, drop me a note out at one of my blogs. Thanks, Caralyn, but if you haven’t figured it out by now, I’ll be explicit: that’s a self-referential request. And, a belated Happy Birthday! Happy Birthday Beebs. You share a birthday with my middle daughter, who is now Sweet 16! Happy Birthday! And thank you for sharing your moment of joy. Beautiful. Happy happy belated birthday, my friend! May the year bestow on you health, happiness, and success! Happy belated birthday!! This was real, and honest! Thanks so much for sharing this and also love what you said about God being inside of us. You listen to any DJ Khaled on your birthday? Happy Birthday Glad you had a special day!!! Happy Birthday! My birthday was yesterday (The 7th) and I was born in Manhattan – Mount Sinai Hospital. I’m excited that we’re planning a trip there next summer for my 30th birthday. My husband has never been to the city! Since I was born at 25 weeks, my parents took me back to the hospital every year until I was 16. The last time I was in the city was when I was 18 and a senior in high school, and my high school orchestra had the opportunity to play at Carnegie Hall. I have so many memories of visiting the city, and I cannot wait to show it all to my husband next year! So young and wise. Yes, God is definitely within each of us, it’s our job to go inside and find God in ourselves and in others. Happy, happy, happy birthday! It sounds like you had a wonderful day in that glorious city of NY (i used to leave there 🙂 ). Sending you love. About to go on a “offline” (yes!) retreat on peace with MSIA Spiritual Founder, John-Roger. I hope you had a great birthday. Birthdays are always special, celebrating a life.What a great day! Happy birthday – keep well and remember you are strong because you are surrounded by other strong people you can draw on anytime you need. Happy Birthday!!! Thank you for taking us, your readers, on this journey with you! What a beautiful glimpse of God you shared! Made me cry and inspired me to see the world around me with some fresh eyes today! This was a beautiful post! Thank you for sharing your experience with us! I hope you had a wonderful birthday and you have a blessed year ahead! Happy belated birthday! Sounds like you had such a wonderful day. And how cool is that about your history singing in a Latin band. And you’re right about finding God in people like the man you described. This is how Jesus saw people, connecting with them, and endearing them to His heavenly Father. Wow! Love the way you write!! How wonderful that you got to experience that moment! Happy birthday! First – HAPPY BIRTHDAY !! Fun stuff. You got to do a cultural exchange. And it sounds like that’s what it was – 2 ways. I don’t know the Latin hits but you have an instant “in” with people since you do. That must be very fun but it’s also really powerful. A dental proverb – Ignore your teeth and they’ll go away. Actually they’ll turn some disgusting colors, smell horribly, then go away causing great pain in doing so. I remember a friend who only had one brown tooth left, one of his top incisors (front narrow teeth). I had only met him a few years before our ways parted, but I remember some of his friends from childhood saying “Remember when he had 2 teeth? Then the other one fell out?” and they laughed him to shame although he wasn’t present. Teeth are prominent; and they tell a story. Thank you for hearing that man’s story with compassion instead of revulsion. You were (and are) in that God’s hand extended. Loving the unlovely. You teach us all. Wow…this is one of the most uplifting articles I have read. And literally, I had a similar experience but missed God in moment (sad). Thank you for writing and thank you above all for continually reading my posts. One more thing – HAPPY BIRTHDAY ANA! FOR THIS YEAR, I WISH YOU NOTHING SHORT OF LOVE, LIFE, LAUGHTER, GOOD HEALTH AND PROSPERITY. MAY OPPORTUNITIES STREAM TO YOU AS A RIVER FLOWING FREE AND MAY YOU HAVE A SUPERB LIFE MOVING FORWARD. May Our Lord and Savior bless you, keep you, and give you peace. Amen! Happy belated! It’s nice to see God In the most unexpected ways! Thank you for your compassion! Feliz cumpleanos. Parece que tuviste un buen tiempo. Tengas un buen ano. No problem! I love your posts! This was a GREAT read!! I’m still learning about how all this works as I am only a few days in! I’d rather someone tell me I was the naked dancing halftime entertainment at the super bowl than write a blog. One thing i do know is seeing how successful you are and reading this blog post how talented you are at written communication, I’m rediculously humbled that you took your valuable time to read and like my “date her forever” blog. Sincerely, THANK YOU, I needed that!! If you so desire, follow along with us, my wife will be writing some as well and she is WAY better than me at this! Also I can’t get to like 5 followers LOL 😂😂 Anyhow, thanks again!! I’ll be following along with you! Happy belated birthday! Great post. If we all realized that the Lord is in us all we’d have a much better world. We all struggle with ouside packaging. Nice! Yes, God and God’s grace is everywhere. Even in the very breath we breathe, of course. Happy Birthday! I find the more I know Love, the more I experience Love and allow Love to be alive in me–the more I know the value in Father’s work…. the more I see His face in his children. There’s a beautiful song by Nic and Rachael Billman called Fathers Eyes and it’s so simple and so profound, the final chorus goes, “I look like my Papa; I look like my Papa…” it breaks me apart just thinking about it again because it’s one thing to see Papa in people, it’s a whole ‘nother thing to see Papa in this old peice of work.. Sounds like your birthday was a culturally diverse blessing. Thanks for the reminder to look beyond the exterior and into the windows of the soul. Possibly you were dancing with Jesus. Yes, it would be so nice if most people saw each other as God truly sees us. God knows our hearts and doesn’t judge us by our appearances. The heart ❤️ is what is so deceitful. Great post! Absolutely loved this!!! Brilliant piece of writing! Thank you for sharing the story of that old man with us! That’s awesome! I love moments like that. They don’t happen often enough. You mock my pain. Every woman I have known is a liar. I have a number of similar stories–unexpected encounters with the beauty of humanity beneath the surface–and yet I still forget (daily!) those lessons. Thanks for sharing! What an excellent story and birthday present! Thanks for sharing it. Moments like that make our lives amazing. Great insight! I love that we are all created in God’s image. We can appreciate the good in people and give glory to God for His goodness! This post really hits the spot! I had a very similar moment in Costa Rica to the tune of “Suave” merengue. So joyous, so spontaneous, so beautiful. I hope you have more moments like this one in the future. Aren’t those moments of connection simply magical! Thank you for sharing your moment of human connection. Great post! I love that music is a universal language that we can all share, and I totally agree with you about overlooking the things that matter by being too involved in details and our phones etc. I’m guilty of the same thing! You NEVER cease to amaze me lady! Happy birthday!! This was such a cool post!! It’s shifted my perspective of the whole day in front of me. 🙂 also makes me want to visit NYC even more! Refreshing post – living life to the fullest as always! Happy Late Birthday by the way………………..
First of all happy birthday belated anyway. And second of all thank you for such an insightful post to remind us that God is everywhere. Happy Belated Birthday! 😀 God bless you! Happy Birthday! God loves you! I loved your adventure you took us on with you. I love moments like that in a festival. You two would have made me smile! God gave you such a beautiful soul in such a beautiful moment! Love your heart for God! Sounds like a fun day! Everyone does have worth because of the image we are created in. God is good, and does show us beauty in the everyday occurrences, especially on birthdays. Happy belated birthday! Glad you found beauty in my beloved Bronx. I always do! Gotta love the God moments. Have a great week and may more come showering your way. Happy Birthday in arrears to our gifted blogger. We were both born in August. Such a thoughtful post as always. Belated happy birthday, Carolyn. I hope you had an awesome one. So we’re Bday buds! My birthday is 8/8. Very cool! I have nominated you for the Blogger Recognition Award because you have an uplifting message and personality! May your blog continue to be blessed, and all those who visit! Hi, Nice to meet you. Thank you for commenting my post.